This is the page I was talking about in the giveaway! Hey this is such a nice idea! Hehe :P We do know you are a sweetheart :) good luck! Well my name is Shruti Shetty..
Will be going back to Pune hopefully by the end of this year.. YAYYY.... !!! okay. I am Akanksha Chawla! nowdays.. my day is also incomplete w/o fb as im jst waiting fr the joining date..
Hi..i'm Tenzin J Yangzen from manali..a going to be 3rd year delhi university student..
To be damn honest..i dont blog at all..but i do read blogs and reviews to stay updated on trends..
As every other girl..i love shopping..my latest fetish is rings and collar shirts..i love my boyfriend(tenzin) and he keeps me busy most of the time *blush*..our first names are same..hehe.. I love colours..i love lip colours..and nail paints..and above it bags..!! Well like evry other girl...I love all the girly stuff! lol..I think I have almost told u everything! hi!! m shourima. m a fashion designer, m from bombay!mad about make up & all thing beautiful! LOL even I get withdrawal symptoms when I'm away from blogger! 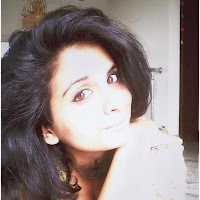 Hi Namita, I'm Shilpa and my blog is called Our External World. I started blogging sometime in April this year and I'm loving the journey so far. I blog about makeup, skin care, hair care and paingings that I do. I have also tried my hand at nail art and even though I am a newbie the girls have really appreciated my nail art tutorials. Hope you like my blog and join it soon. Thanks a lot :) I am glad to help! Many congoz n much love to u..u've come a long way in such a short spen..yet WAYYYY to go.Before I say something about myself..lemme tell u why I'm addicted to LIFE IS A FAIRY TALE--> I love fairy tales n I love Pink :)Ur writing style,ur bindas attitude,ur novelty n yes ur guy:P..I like all of that! Love reading..though I don't aim to cover the best sellers..its like anything that interests me..Currently reading "Tea For Two And A Piece of Cake" by Preeti Shenoy. Do you know you made my day with that comment?! Hey!! My name is Lavanya. I am a software engineer by profession from Hyderabad, India. I love meeting new people and interacting with them and I definitely feel blogging is a nice place to get to know so many people. I follow a lot of cooking and beauty blogs as these two things interest me. I myself own a cooking blog and its going good. I am currently hosting a giveaway too. Do participate if you like it. Hey how r u doing ? I love nature and photography ..
Hey :) I am Nupur (GFC name also) && imma new follower of your lovely blog (:: I'm from delhi/ncr and a final year engineering student in electronics n communication. All dats above and beneath u, reconnects somehow .. so just trust in something greater. Thats all i'l say, for nw ..
Hi.....Everything on your blog is so innovative. I regret that I had not come across your blog so far. I am getting stuck to your page. Well, Introducing myself, I am a Software Engineer, a working mother of a one year old girl, and very well stuck to all make up colors. :). I'm veda kashyap..... I hate beauty blogging, used to love it. Cannot tolerate it now. But me reviews are a 100% honest and brutal. I prefer reviewing books and writing recipes now. I'm a music lover. I'm not a fan of anyone. I don't follow a blog fanatically. I read posts if they are good. And I am critical of posts that are shoddy. My blog is http://kofykat.in although I am not sure how long i will have it. I just finished my first giveaway. GFC name is Sayuri. To be honest I don't use my blog right now. I used to use it for my cross stitching things but I am not interested in stitching anymore so I am going to start making my own nail polish for fun. For me and my daughter to have~ I am a stay at home mom of 4 kitty kids and two children. I read, write, and play video games besides going crazy with my son and daughter who are pratically twins lol. She was born 11 months after him hehe. I do plan on making my blog that I have into my polish blog when I start making them. My name might also be giggles for gfc. For some reason it gave me two names... Not sure how to fix that. I am Vaidhei here a Chartered Accountant by profession and a professor and chocolatieur by hobby. Glad to see ur lovely blog !! Hi, I am Bidisha Banerjee. I am 22 years old and I am from Kolkata. I have completed my B.Tech in Electronics and Communication and pursuing my MBA in Kolkata. I love reading story books and singing. Glad to be a part of your blog and to enter your giveaway.